West Virginia auto transport carriers have their work cut out for them navigating what many simply call, “Appalachia”. The mountainous terrain, valleys and rolling hills of West Virginia make it both beautiful and difficult for the auto transport industry. 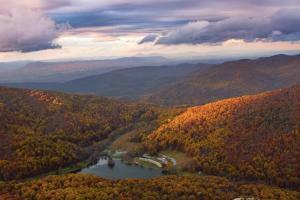 West Virginia is quite simply one of the hardest states in the country for car shipping. You would think the otherwise ideal “Mountain State” proximity to the mid-Atlantic region would make it easy? But it does not. The reason is that the most travelled interstate freeways just barely miss West Virginia. Interstate 40 cuts south of West Virginia, not through it. So WV misses a major east-west artery. Almost the same thing happens north of West Virginia, as another major east-west freeway, Interstate 70, has ostensibly a cup of coffee at the very tip through Wheeling. Basically, I-70 misses West Virginia. And that hurts. On the eastern side of West Virginia, Interstate 81 runs parallel the entire length of the state, mainly in neighboring Virginia, and only passing through a short stint in Martinsburg. For West Virginia auto transport carriers and customers, that is really no help. Thanks for the near miss I-81. Then on the western side of the Mountain State, the major north-south I-71 and I-75 freeways run through Ohio, and like the others, basically bypass West Virginia. All told, there is a tremendous amount of truck traffic buzzing all around West Virginia to the north, south, east and west without ever really touching WV. Close only counts in horseshoe and hand grenades. What does run through West Virginia are three interstates that begin elsewhere in nice size towns, but far fewer opportunities for car shipping traffic. How many people are shipping a car from Lexington or Louisville on I-64 to Huntington or Charleston, West Virginia? Or how many people are doing the same thing from Pittsburg, PA on I-79 to Morgantown or Charleston? And not many trucks are starting out in Charlotte, NC and weaving their way north on I-77 to Beckley and central West Virginia. Most West Virginia auto transport customers want to ship from or to places much farther, like Florida, Texas and California. Unfortunately, West Virginia does not have main interstate arteries serving those destinations. The practical effect is to slow down the shipping time frames. Customers in West Virginia do not want to hear that. We counsel patience. Did you know that West Virginia was once part of Virginia. Before separating in 1861 during the Civil War, the region groused about poor representation of their interests in the Virginia state legislature. The slave holding plantations to the east in Virginia dominated political decisions. The western region is mountainous and folks there had few if any slaves. They could not relate to other Virginians priorities. When the Civil War started and Virginia seceded from the Union, the western region disagreed and declared independence from Virginia. 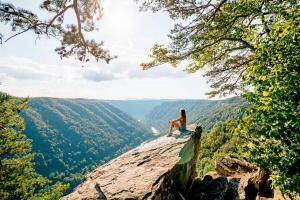 They petitioned Congress in 1863 as a new state, a free one, and called it West Virginia. As of 2018, West Virginia has a population of 1,805,832 people. Most of the population live in small towns or in rural areas, which makes amalgamating full car shipping loads of 8-10 vehicles very difficult. To give you an idea, the largest West Virginia city is Charleston with only 51,400 people. There are over 800 larger cities in America. So even car shipping fast to Charleston is very hard. Never-the-less, if you are patient, it does happen. Try meeting a West Virginia auto transport carrier along a major interstate, especially if you live in a hilly or remote area.